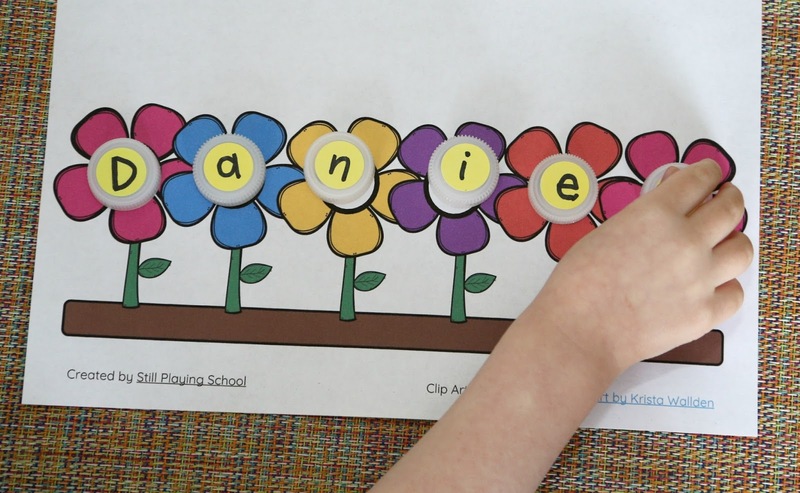 Preschool is all about learning how to read, spell, and eventually write one's own name. Kids love this flower garden name puzzle mat for Spring! Just print, gather a few bottle caps, and this activity is ready to go. This week's Virtual Book Club for Kids book is The Tiny Seed by Eric Carle. The story outlines the life cycle of a flower which starts as a seed. The illustrations are mesmerizing in typical Eric Carle style! After reading this book to your child, help her bloom in spelling her own name with our personalized flower garden name puzzle. 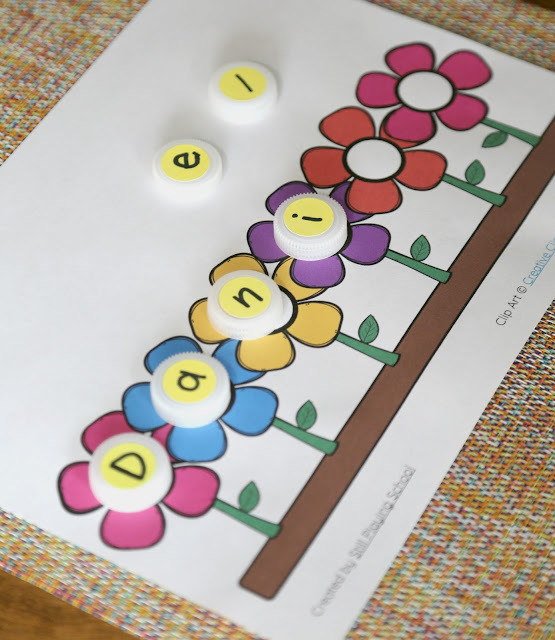 Whether you're a parent or grandparent who wants to print one name puzzle mat for your own child or you're a teacher who needs a whole preschool classroom set, we have tips and all the supplies you need to make this quiet activity durable for little hands to explore. 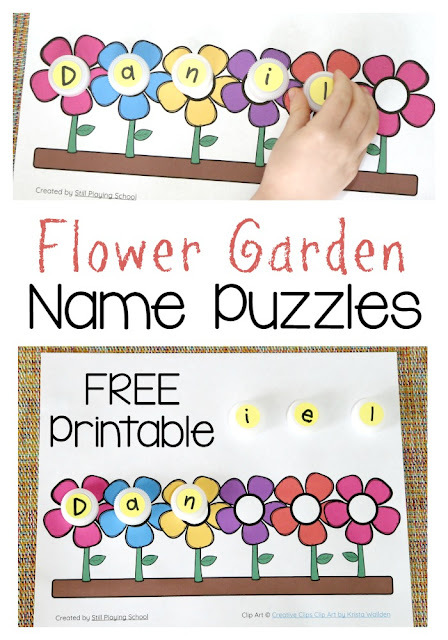 You'll want to find and print the name puzzle mat that has the correct amount of circles to correspond with the letters in the child's name. We'll give you the free printable at the end of this post! 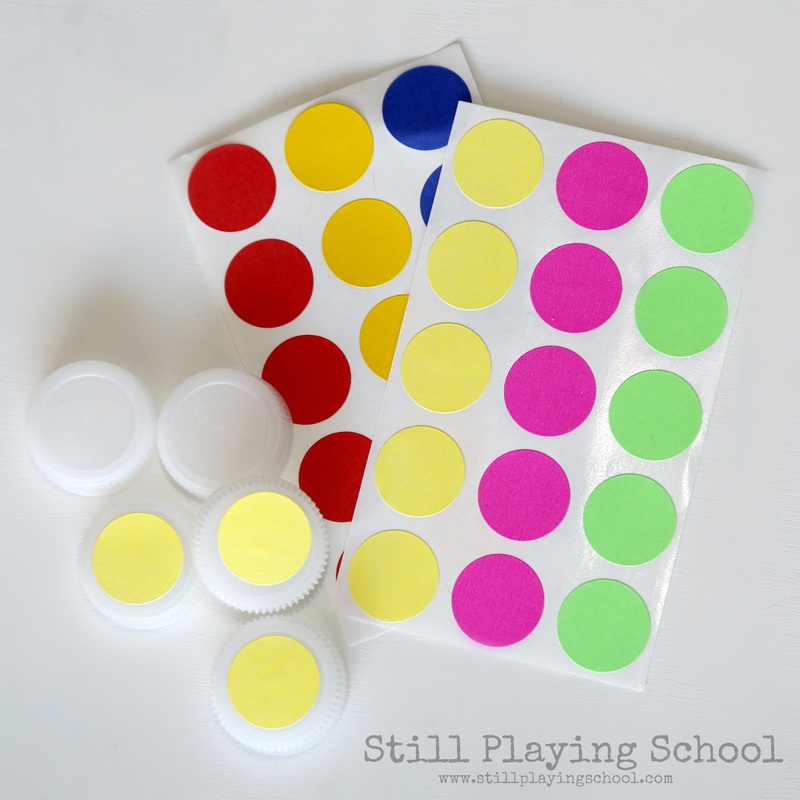 Prep by putting a circle sticker on a plastic bottle cap for each letter. We chose yellow this time for the flower's centers. Write the letters on the labels. We ask friends and family to collect bottle caps for us so we always have a supply on hand! Finally, either laminate your name puzzle sheets (I love our home laminator!) or slide them into these reusable pockets. That's it! You're ready to spell! This activity is easy to adjust to each child's ability. If kids need a bit more help with their names you can write the letters on the circles for them to match. Put the caps inside the pocket as well to create the perfect preschool center or quiet time activity for kids to try independently! 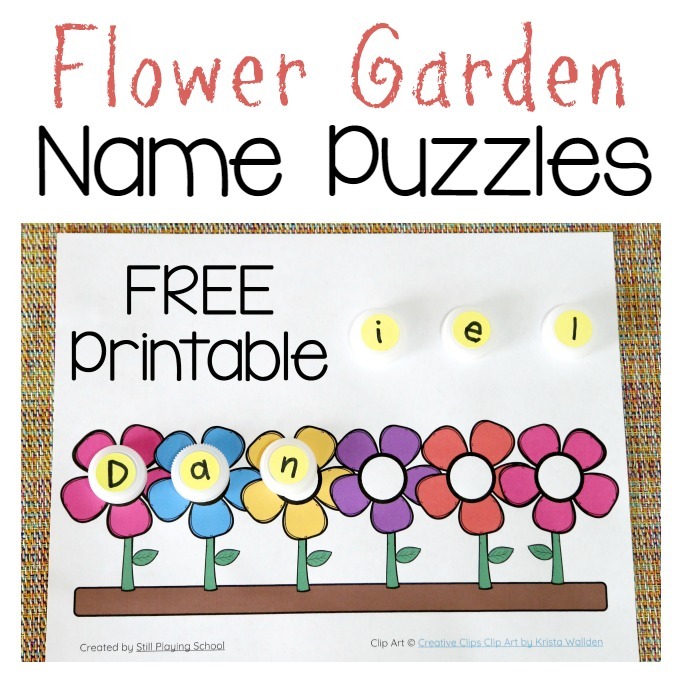 Get a copy of our Flower Garden Name Puzzle Mats here! I printed this out for my daughter this morning and told the kids to save their water bottle lids. Can't wait to finish putting it together for her! Thank you!